We here at South Park love Autumn! 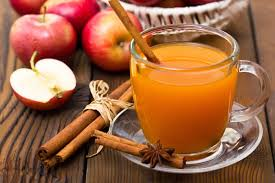 The beautiful leaves and the changing temperatures make us want to enjoy one of the seasons top drinks! Try this out and let us have a cup to enjoy with you! ENJOY by clicking here! South Park would like to welcome our newest addition to the team, Dennis Moran. Dennis transferred to South Park recently after spending several years at another Robert Hancock & Co property and we could not be happier. Welcome aboard Dennis! Keep up the great job. Planning A Fall Move This Year? Look No Further!